Could Nanomaterials in Fast Foods Be a Problem? Nanoscience is the study of nanomaterials, which is the study of materials too small to be seen and their properties, including their toxicity and their uses. Nanoscience is composed of many fields, including medicine and engineering, and if done and applied rightit can change the world. However, nanoscience and nanotechnology are different, despite being used interchangeably. Nanotechnology studies the application of machines and systems at the nanoscale, both work hand in hand as nanoscience tells the world about the materials, and then the nanotechnology puts those materials to work for us. Nanomaterials are as small as atoms and smaller than cells, so devices such as magnifying glasses and normal microscopes can’t get the human eye that far, and specialized microscopes are needed to carry the human eye the rest of the way. The cool thing is that in the nanoworld, objects and even matter change properties. Color and texture are two of the most notable, and even chemical composition changes, things like conductivity, strength, and how hard or soft it is. Nothing about the material is changing, only the size with which people view it. In addition, the more surface that a particle has, the more reactions can take place. If the amount of surface area can be controlled, then so can the reactions that take place, and that can open a new world of speeding up reactions on larger scales. As of now, many products are being improved by nanotechnology and even enhanced. Nanosensors can detect bacteria in food, and improve shelf life and texture. Medical care and delivery has been enhanced, and even cancer can be targeted by medicine at the nano level. Cancer could be targeted with a precision that hasn’t been seen before, and the more effective and targeted treatment could even ensure that medicine is delivered less often and lessen the chance of side effects. Energy is also being improved, with nanotechnology being used to enhance solar panels, batteries, fuel cells and converters. This enables powered products to last longer and work harder and improve on the energy process for both cars and other household appliances. Finally, nano filters are being used to sift out impurities from water, effectively creating the first water purifier and allowing for the waters of life to flow clean and fresh for all. Nanotech is even being used in fabrics to ensure that they can absorb more material and provide better clean up on larger projects such as oil spills. Still, nanoscience, the study of nano-sized materials, and nanotechnology are only just beginning, and there’s still so much that people do not know. New discoveries are being made every single day about nanoscience that changes both the understanding and the application of nanomaterials. 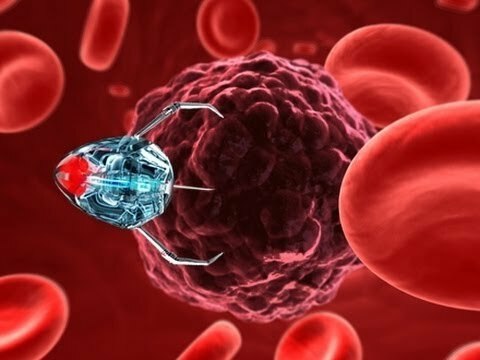 While questions about how these particles and machines can affect the health of people who absorb or ingest them are being asked, as well as the dangers of nanotoxicology, it seems that more advances are going to happen, and nanotechnology and nanoscience are here to stay. Nanotox 2014 is a new but fast-growing online information portal that discusses one topic in detail: nanotoxicology. From how-to guides to detailed explainer videos and expert interviews, we cover this subject comprehensively. Established in 2014 and then given a new facelift in 2019, we can’t wait to take you on our journey as we dig deeper into the beautiful world of nanotoxicology. Stay updated with the latest posts on Nanotox 2014 by entering your email address below. We promise never to spam or annoy. Theme: Sciencex Lite by Nanotox 2014.